The Moriss Estate was built by Henry E Moriss Junior, in the style of a European country estate, in 1925. 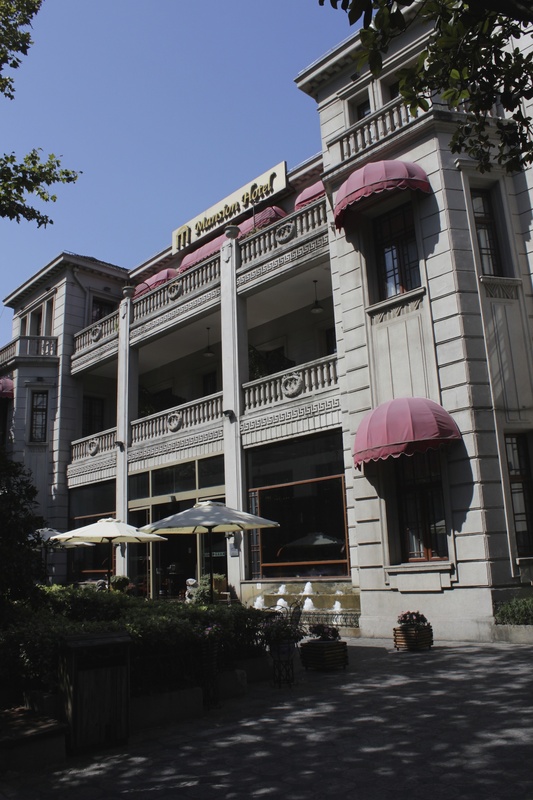 It is one of the major landmarks of the French Concession, and today houses the Ruijin Hotel. 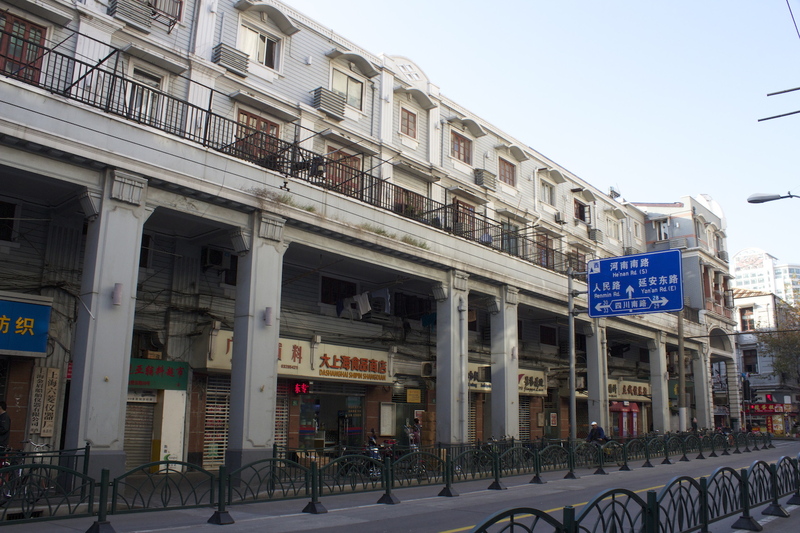 The French Concession in Shanghai was established in 1849 – the final concession to be established in the city – and it lasted till 1946, one year after the surrender of the Japanese in the aftermath of World War II. 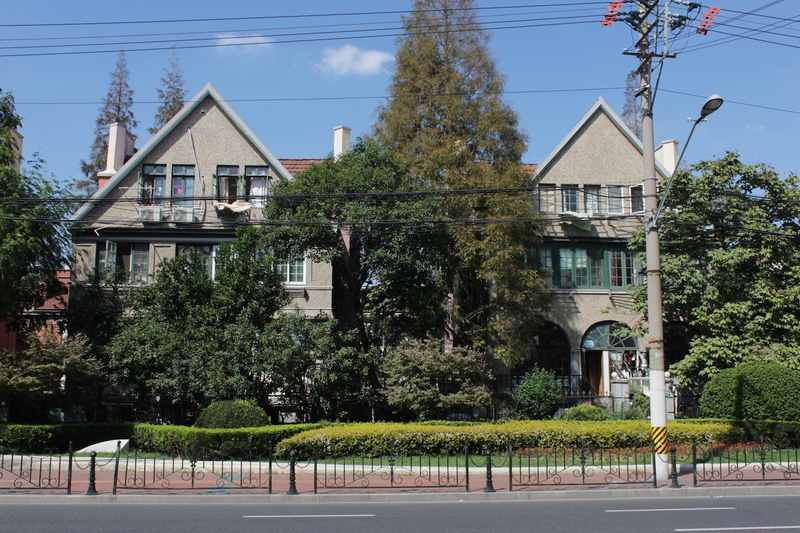 Then as today, the landscape of the French Concession was an idyllic one of gorgeous European-style villas set amidst sprawling estates, further set against a backdrop of verdant green parks, and wide boulevards lined with plane trees. In short, it was a beautiful, languid, laidback, and very FRENCH sort of place. And it still remains so today. 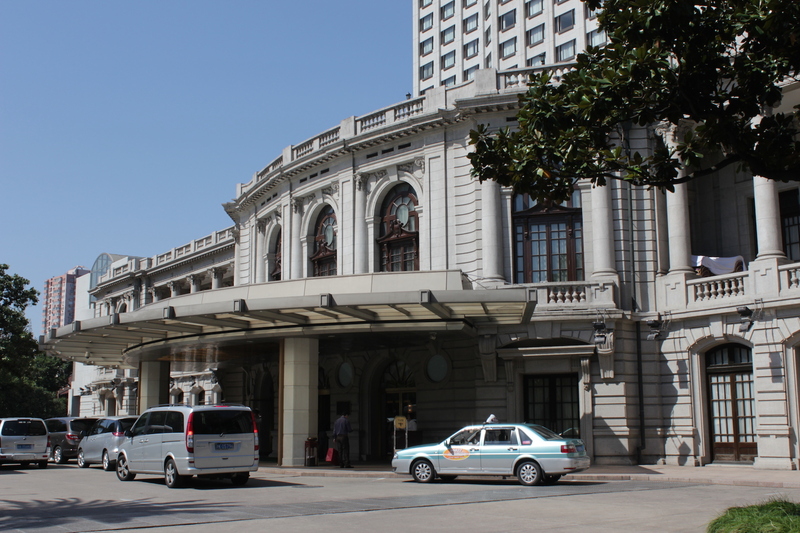 Unlike the British Concession, which stood out for its monumental tributes to EMPIRE, particularly along the Shanghai Bund; the French Concession was a far more subtle sort of place. Of course, the French had their own Bund too – called the Quai de France – but it hasn’t survived well; save for the row upon row of shophouses in the backlanes, the likes of which are also to be found in Canton today. Most of the landmarks in the Concession today are residential – either former villa-style residences of important personages, or architecturally significant apartment blocks built in the boom-years of the 1920s and 1930s. 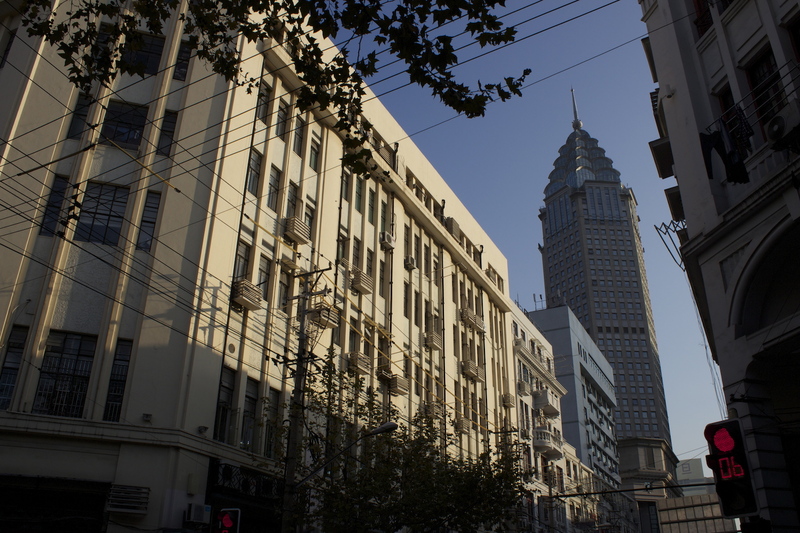 As such, it is far more difficult to visually capture in photographs, these significant landmarks in French Shanghai, particularly as since the time the French left, the plane trees and shrubbery have grown so lush as to largely obscure much of the facades of these buildings from the focused eye of the camera – though the intrepid wanderer is able to get glimpses that add up to the whole; and also because the Concession itself is so large, so spread out and so meander-y that it is hard to take in all that is important in one walk. And so here with have an Impressionist’s view of the French Concession, which hopefully provides a sense of how it was and how it is today. Incidentally, the Concession was also home to thousands of White Russians – including dukes, countesses and other nobles – that fled Russia during the Bolshevik Revolution, and set up home here. Of course, their stay would prove ephemeral as Mao’s Red Guards once again sent them into exile in the late 1940s. But they left their traces in the form of two jewel-like, perfectly formed Russian Orthodox Churches – which I feature here. 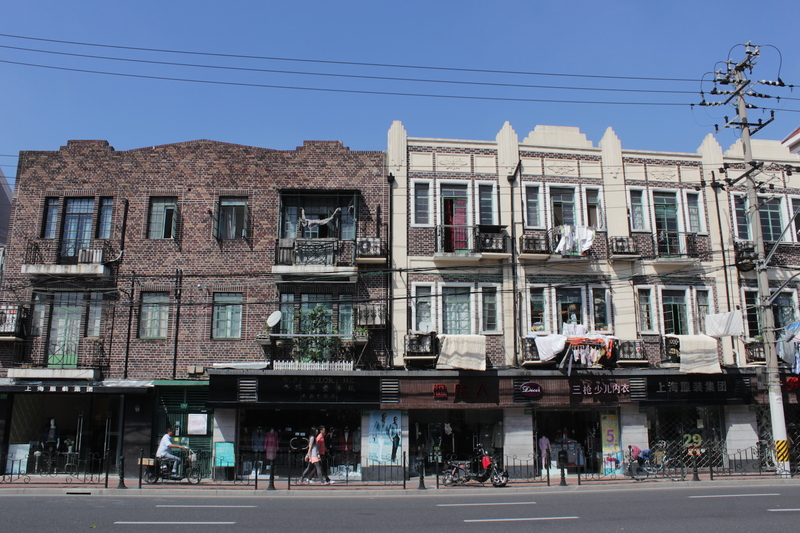 Finally, the other community that also made its (similarly transient) home here in Shanghai were the Jews, who fled Nazi Germany during World War II and established a presence in the Hongkew District of the American Concession. 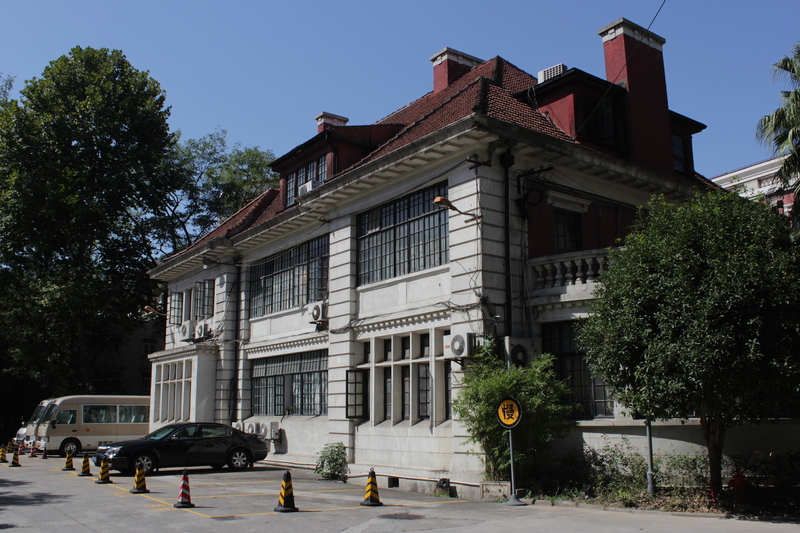 They’re not part of the French Concession, but in spirit, they belong with their compatriots, the super-wealthy (European-) Jewish moguls, many of which belonged to Shanghai’s leading families in the day, and built mansions here in the French Concession. 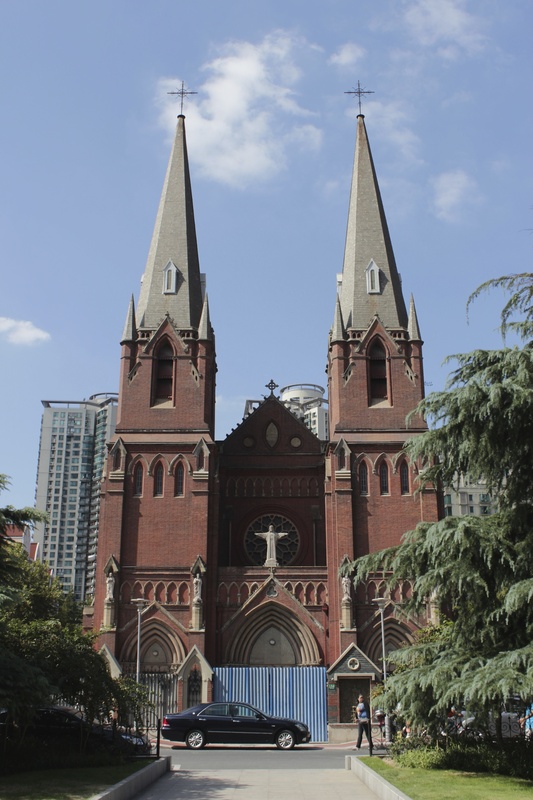 The Xujiahui 徐家匯 Cathedral, built in 1910, stands at the very edge of the French Concession – it is actually not part of the Concession itself! – and is one of the few major landmarks of the Concession. 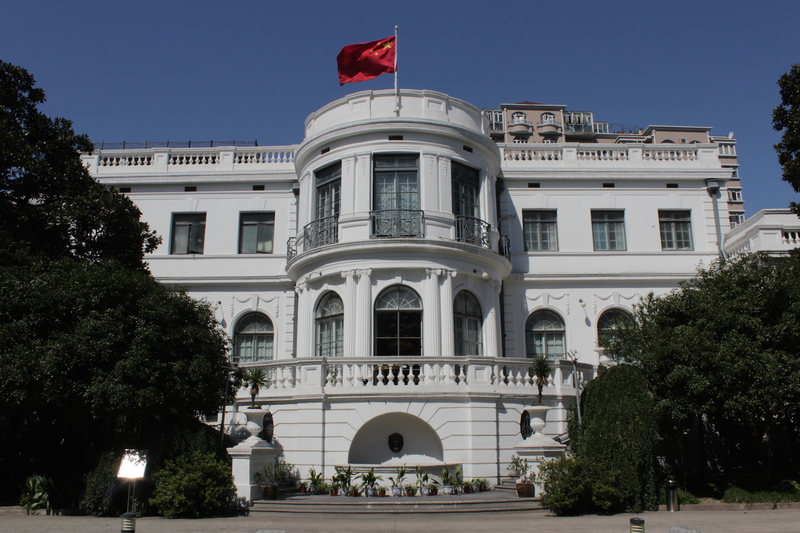 It was recently restored, after having suffered major damage during the Cultural Revolution. 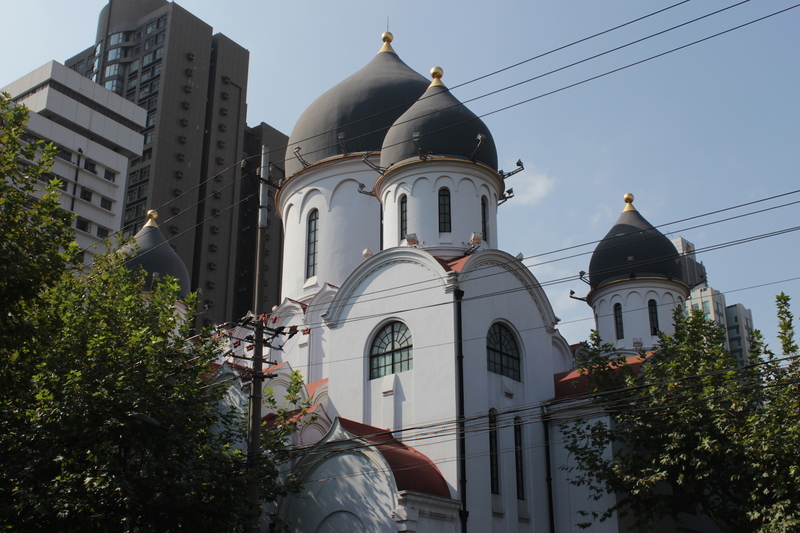 Beside the Cathedral is the Zikawei Biblioteca Major, or the Xujiahui Library. The French called Xujiahui, Zikawei, in accordance with the Shanghainese pronunciation of the place-name. The most significant remaining building on the French Bund – the Quai de France – is, ironically, not French at all. 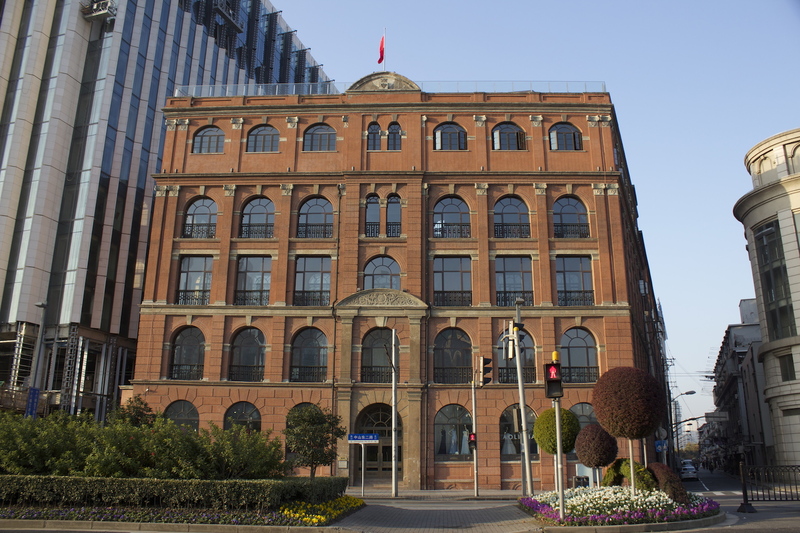 It is is the offices of Butterfield & Swire (or Taikoo, in Chinese), built in 1906. 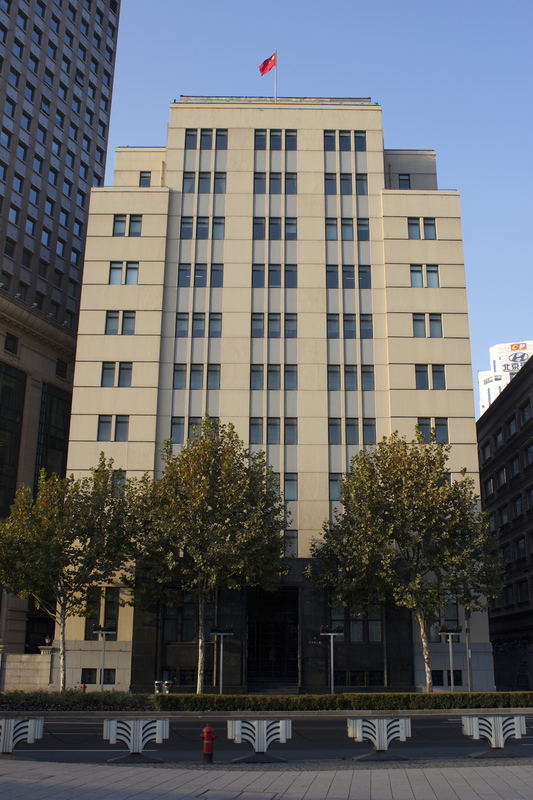 The other significant building on the French Bund is the headquarters of the Messageries Maritimes, built in 1936. 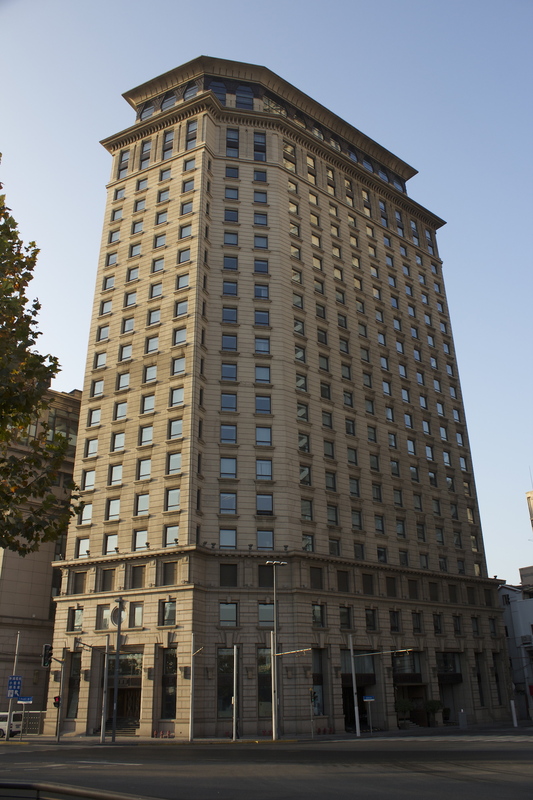 The French Bund has not survived well – here’s one of the high-rises that have replaced existing buildings. Rows of shophouses behind the French Bund recall those in Canton. 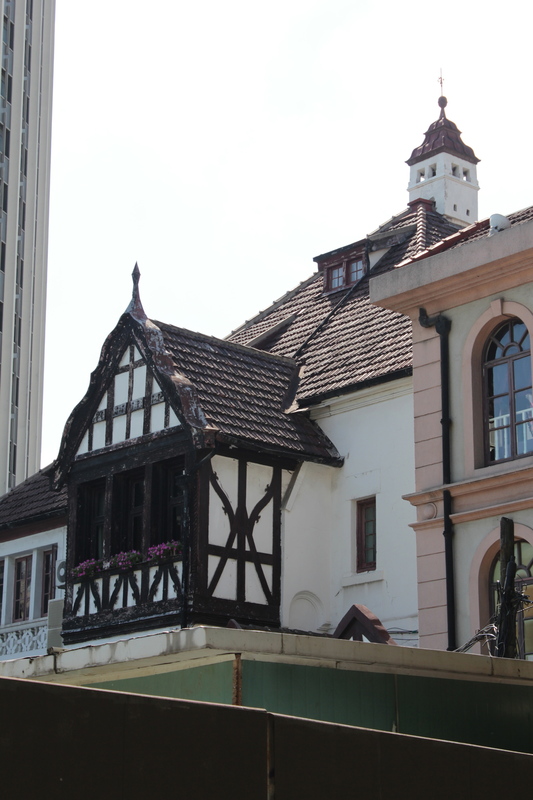 More shophouses – some crumbling. Juxtaposition of old and new behind the Quai de France. 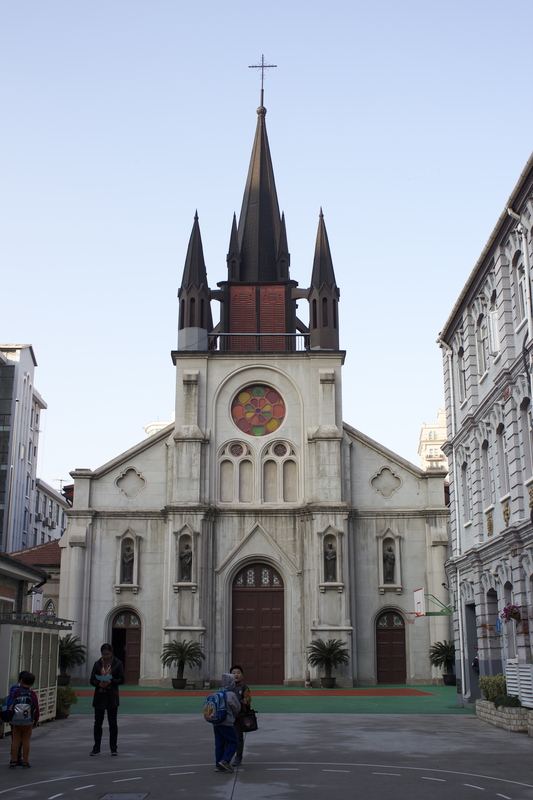 St Joseph’s Church, built in 1862, is the oldest church in the Concession, older than the Xujiahui Cathedral. 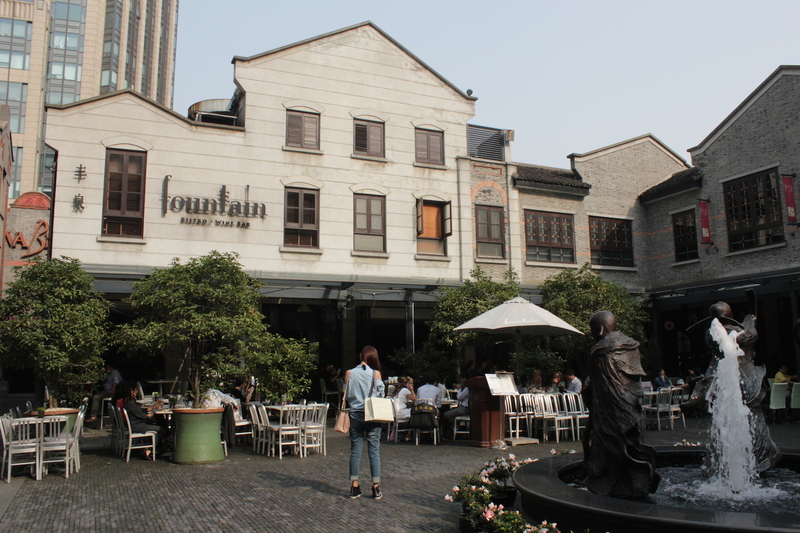 Xintiandi 新天地 is a spanking new lifestyle and entertainment precinct centred on a cluster of warehouses and traditional shikumens 石庫門 and lilongs 里弄. Another view of Xintiandi, which was opened in 2001. The main building of the Moriss Estate. Another view of the Main Building of the Moriss Estate. 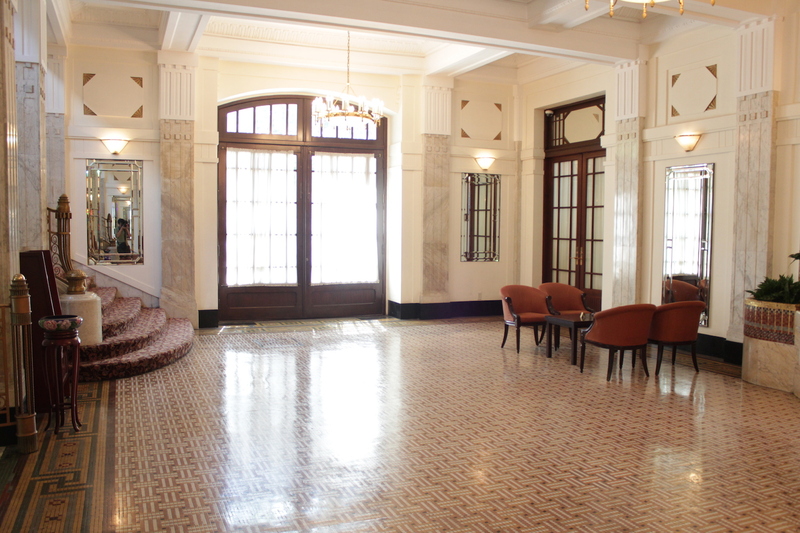 The former Cercle Sportif Francais, opened in 1926. today it is the lobby of the Okura Garden Hotel. The Cercle Sportif was the equivalent of the Cricket Club for the French. Interior of the Cercle Sportif today. The former residence of Edward Nissim, built in 1920. Nissim was the patriarch of a very wealthy Shanghai Jewish family. 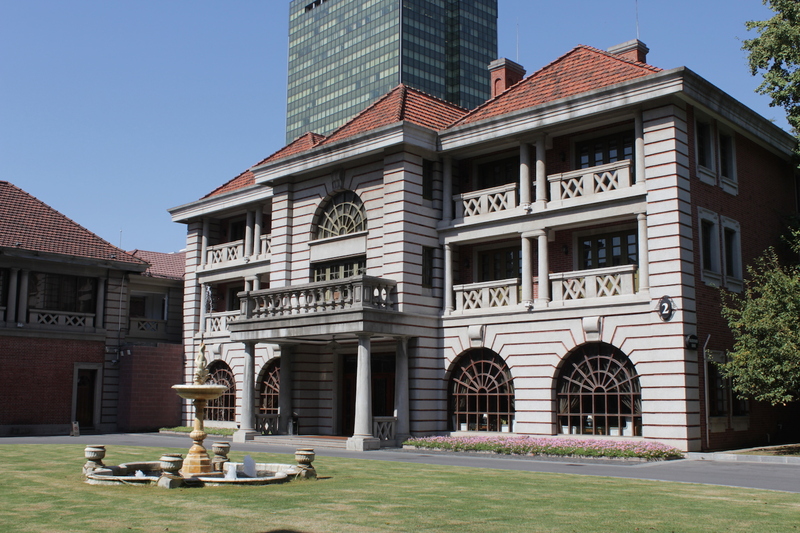 Today it forms part of the campus of the Shanghai Conservatory of Music. 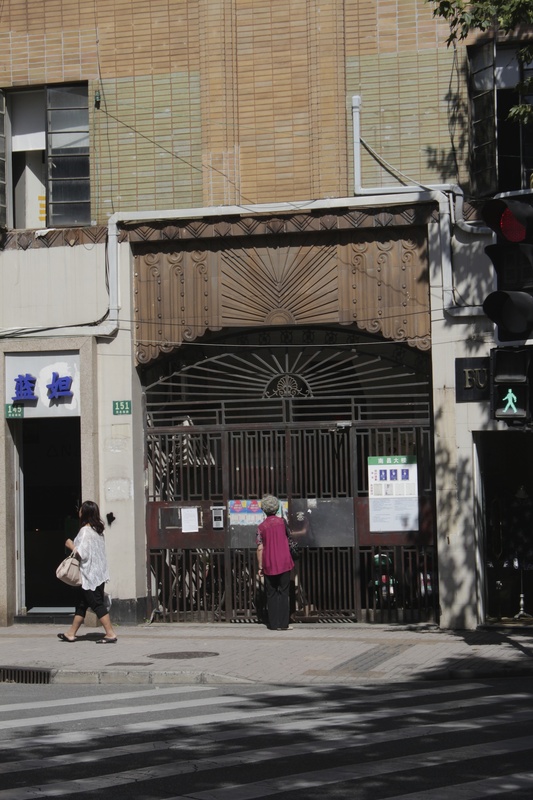 Random Art Deco gateway in the French Concession. 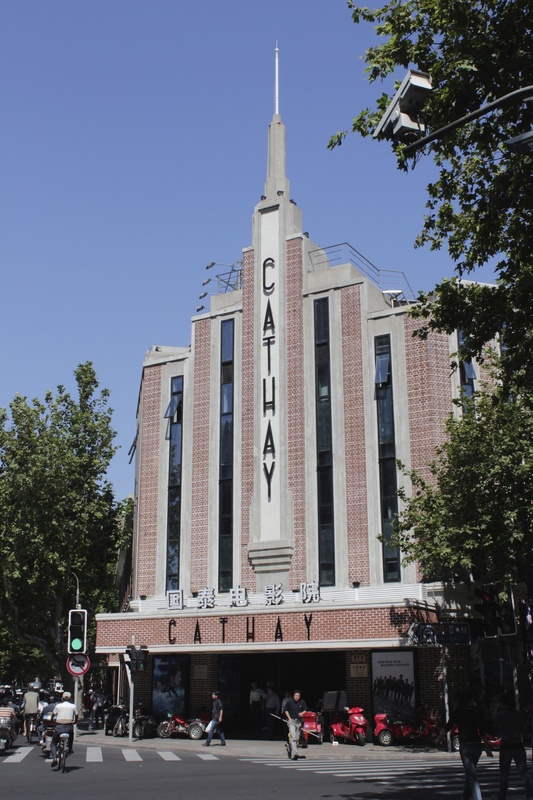 The Cathay Theatre sat at the heart of the French Concession and was one of Shanghai’s first cinemas. 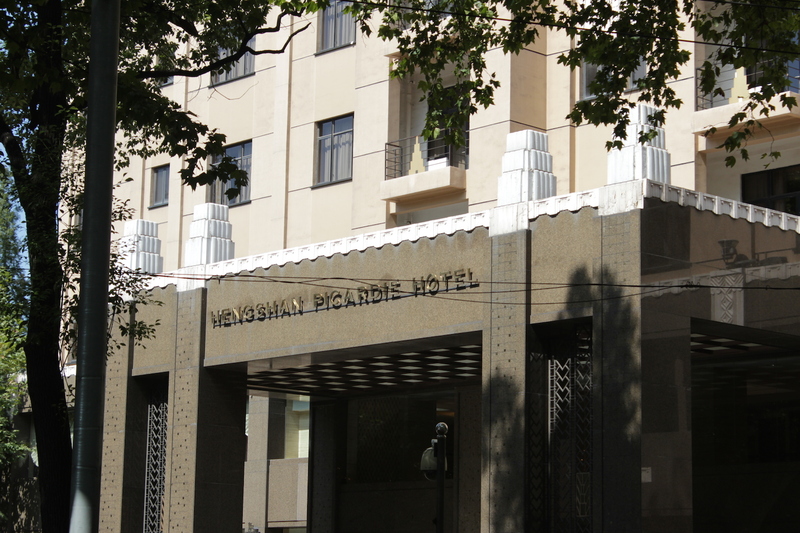 It was designed by CH Gonda and built in 1932 in an Art Deco style. It is still a cinema today. Diagonally across sits the Lyceum Theatre, designed by Davies, Brooke & Gran and opened in 1931. 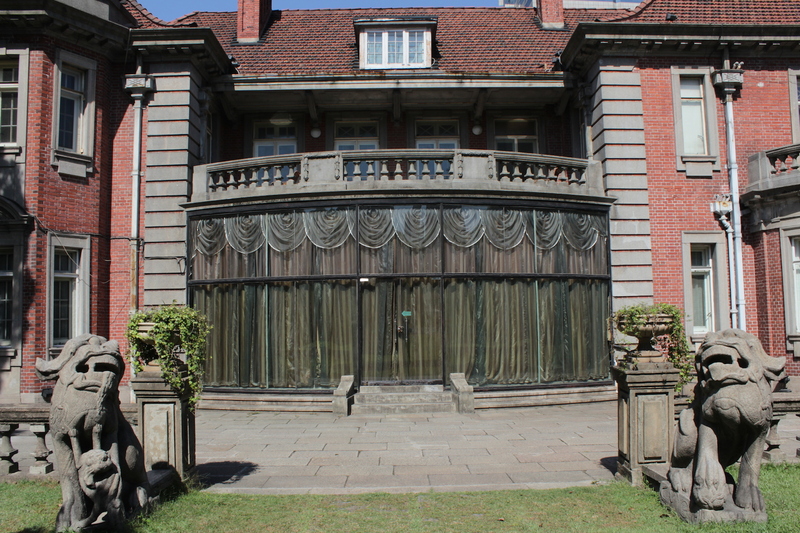 The former Cathay Mansions was undersigned by Sir Victor Sassoon and designed by Palmer & Turner. 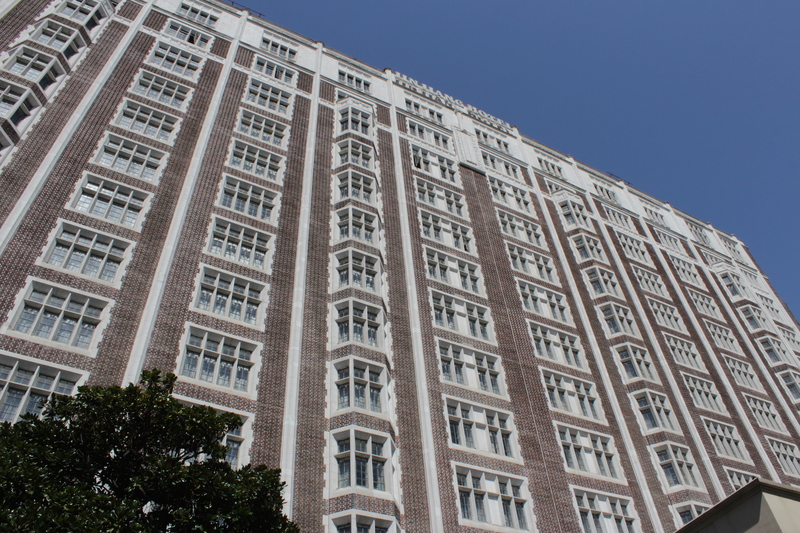 Opened in 1925, it houses the Jinjiang Hotel today. 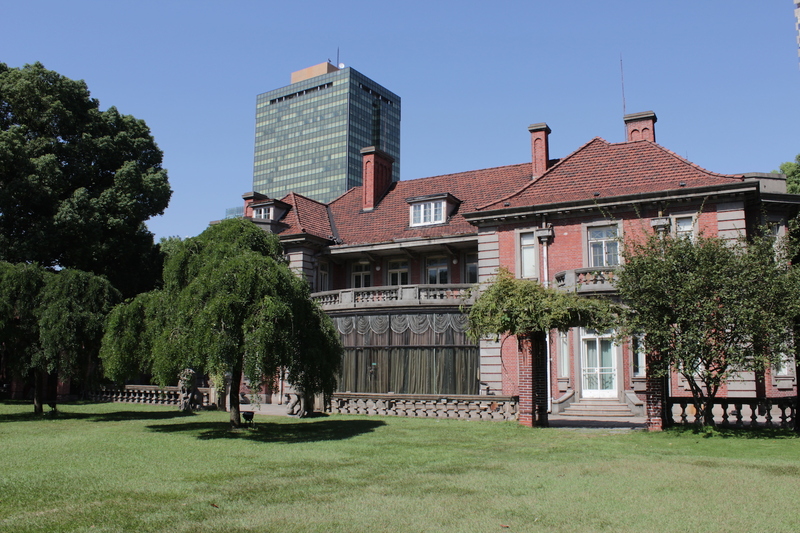 Xujiahui park was “reclaimed” from a former industrial estate that then became the centre of Shanghai’s recording industry (Pathe and EMI were separately here). 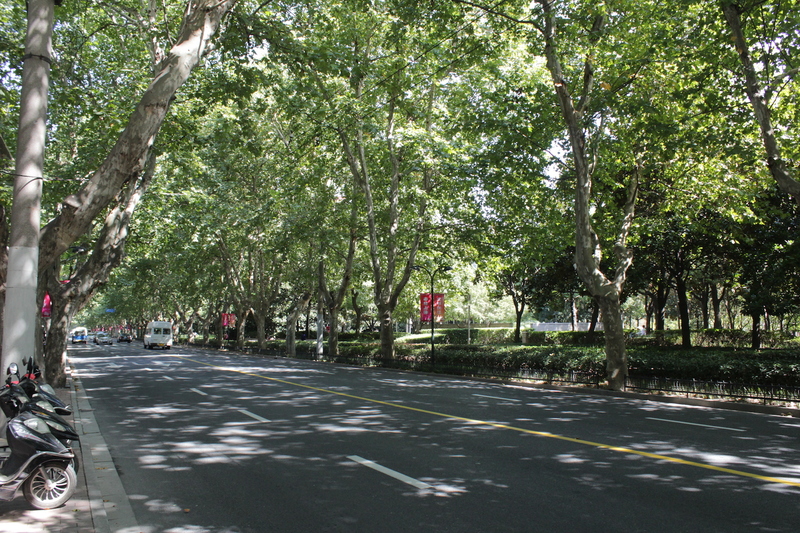 The leafy, plane-tree-lined boulevard is typical of the French Concession. 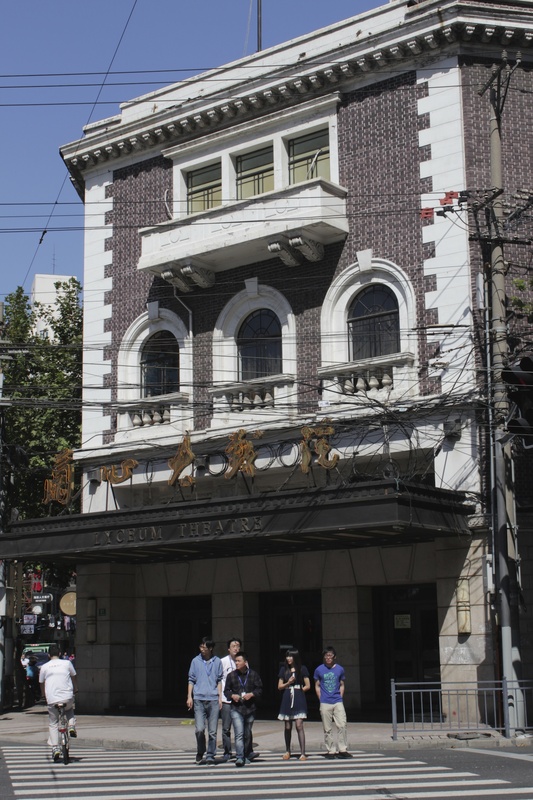 The Villa Rouge, as it was called, was the headquarters of the French Pathé Company in Shanghai. It was built in 1921. 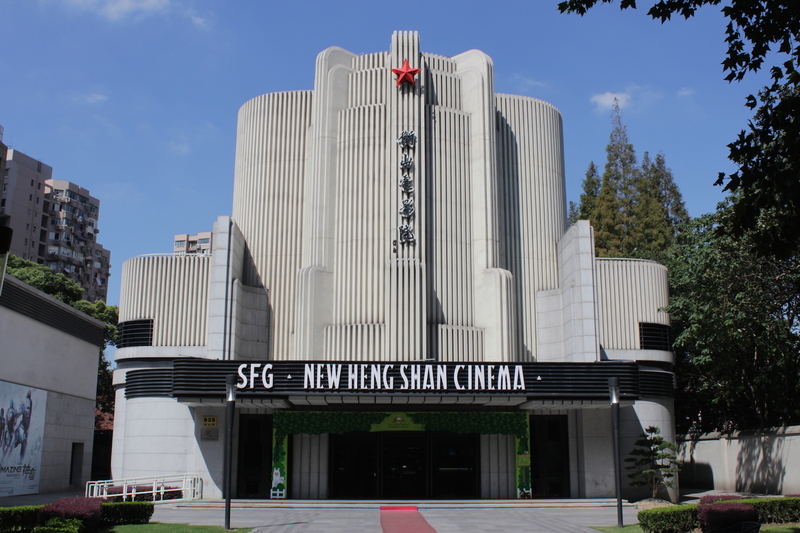 Across the street from the park sits the Hengshan Cinema, which was built in a stark Modernist Form in 1952 by the Communist Government. 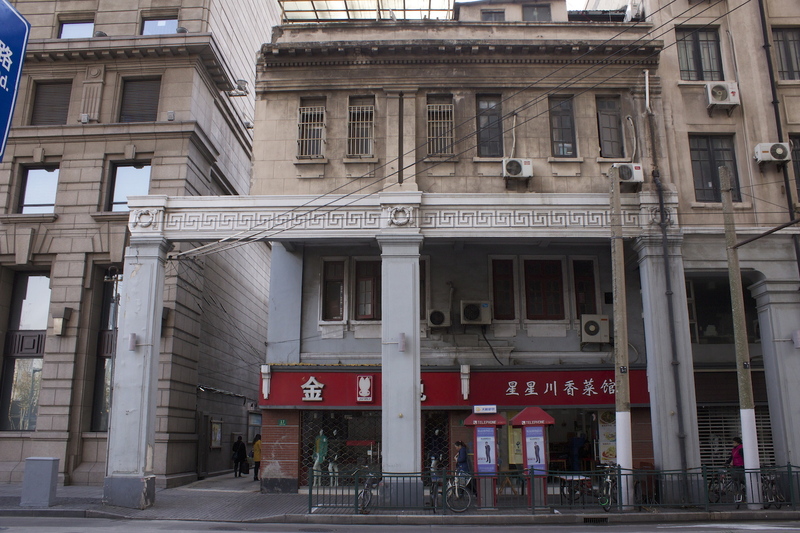 The former residence of Shanghai’s foremost gangster, Du Yuesheng, built in 1932. Today it house the Mansion Hotel, a boutique hotel. 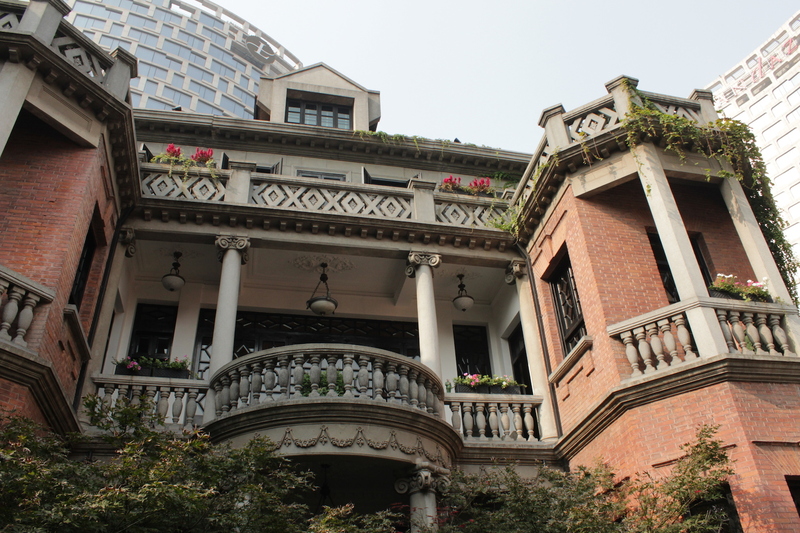 The former Residence of the Director of Industry during the French Concession Era, built in 1905. 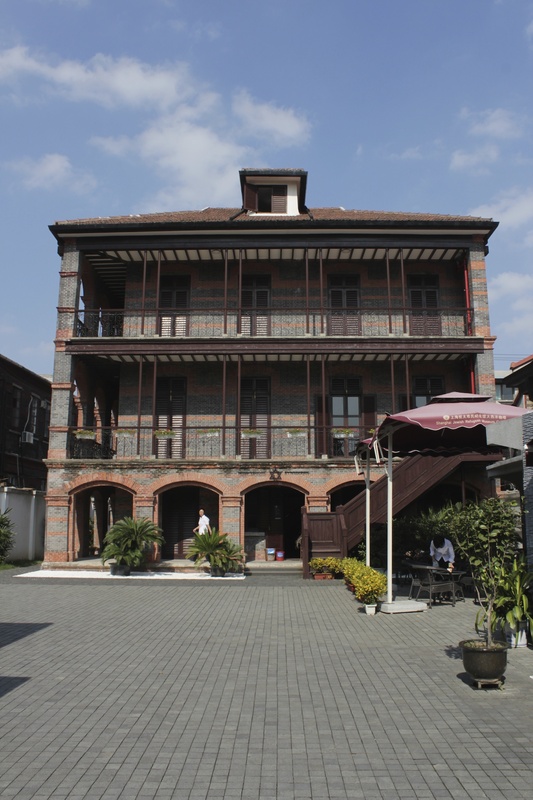 Today it houses the Shanghai Arts & Crafts Museum. 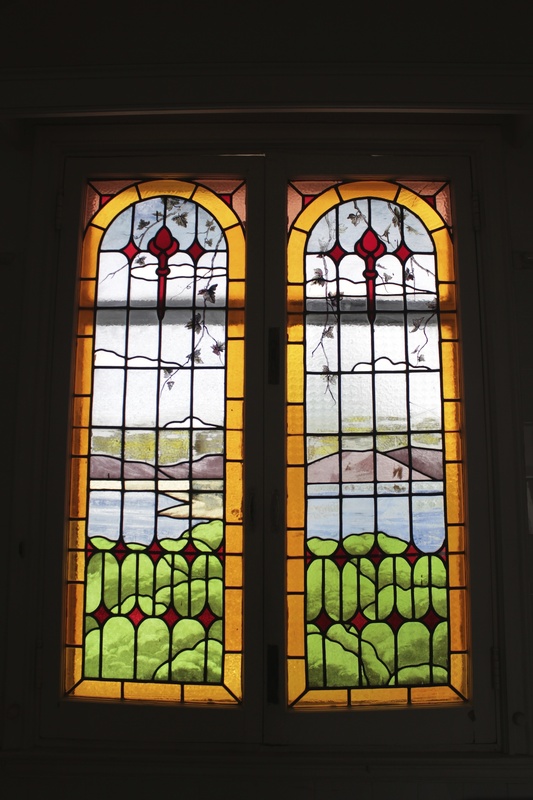 Stained glass window in the interior of the Residence. The Picardie (1935) One of the many iconic apartment blocks in the French Concession, many of which are built in the art deco style (and fiendishly difficult to find). 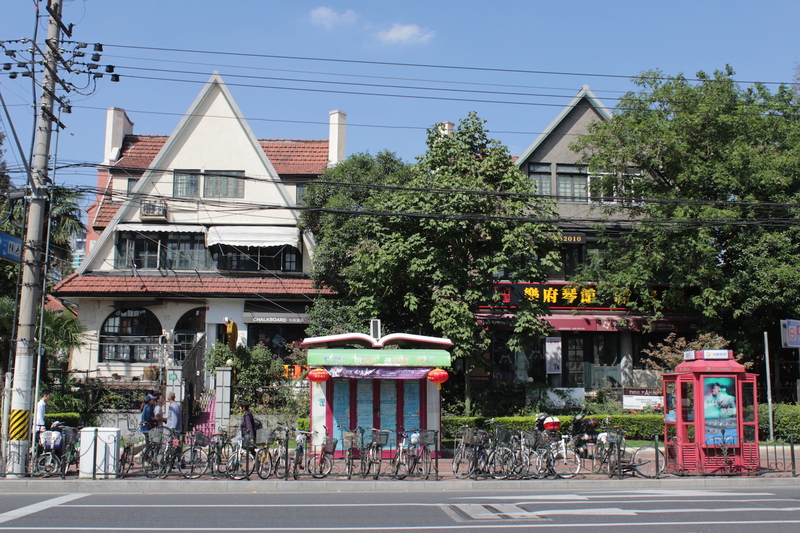 View of houses along the street in the French Concession. More views of houses along the street. Apartment complexes along the street. All in all, a very pleasant, almost Japanese atmosphere prevails. 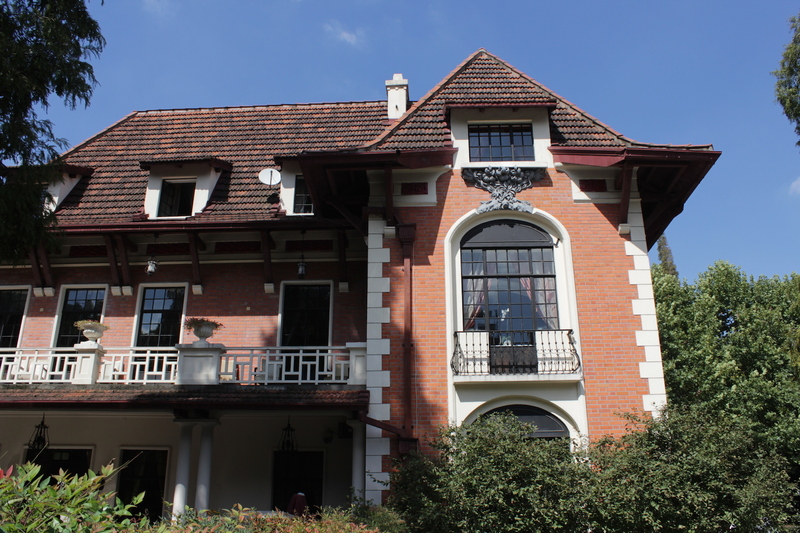 Interesting German-style villa in the French concession. The St Nikolai Orthodox Church was built in 1934 to serve the religious needs of the White Russian community. 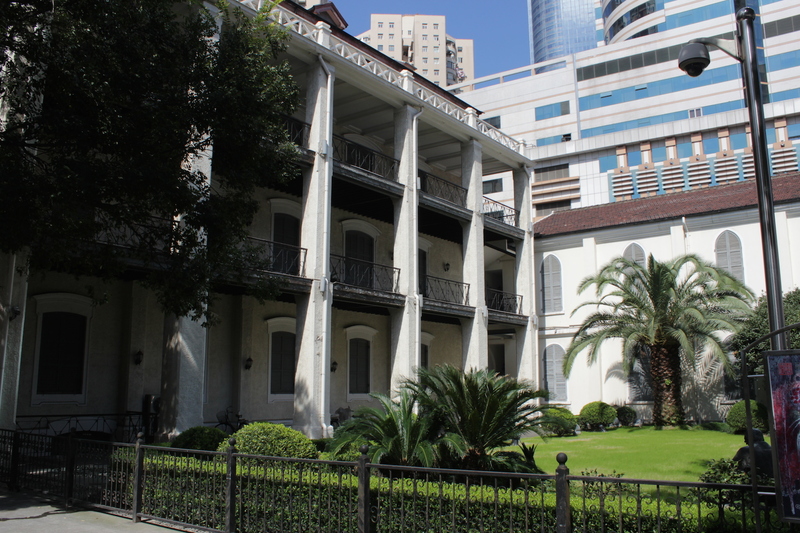 The Russian Orthodox Mission Church, built also in 1934, sits nearby. 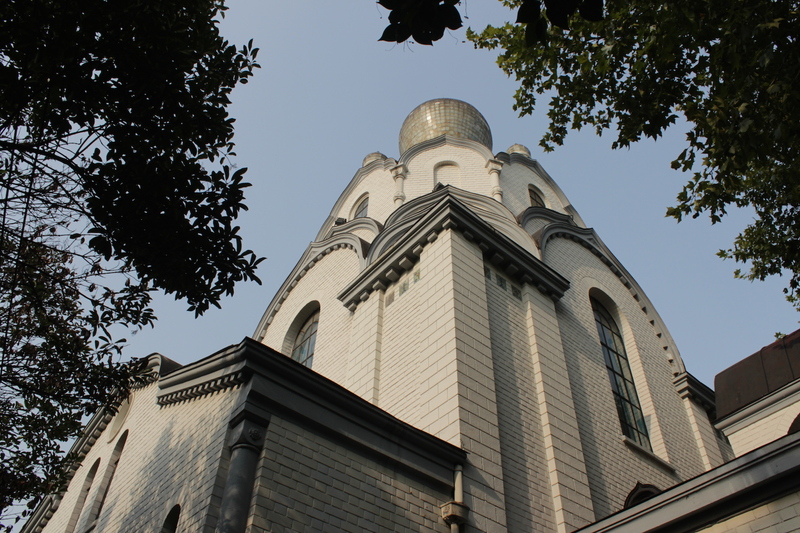 The Ohel Moishe Synagogue is not in the French Concession at all, but sits in the Hongkew District in the American Concession. It was built in 1927 to serve the Orthodox Russian and German Jewish communities. Gallery | This entry was posted in Art & Architecture, China, Cities & Regions, Culture & Lifestyle, Landmarks & History, Photography, Sociology & Urban Studies, Travel & Mobility and tagged China, Shanghai, The French concession, The Grand Tour, The Grand Tour of the Far East. Bookmark the permalink. This is truly gorgeous. I can’t believe it’s actually in China. damnnnnnn. Thank you for sharing!